Sallie Mae offers flexible repayment options and is one of the only lenders serving part-time students. 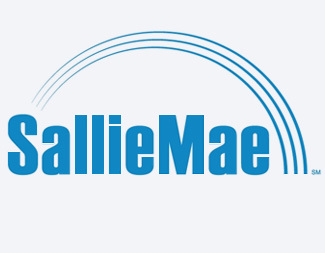 Sallie Mae, originally founded in 1973 as a federally guaranteed student loan program, split into two powerhouse entities in 2014: Sallie Mae Bank, a consumer banking business, and Navient, the largest federal student loans servicer. Sallie Mae’s undergraduate private student loans are best for those who want flexibility with repayment. Sallie Mae offers an interest-only repayment option in school and during the grace period and a rate that is 1% lower than the traditional deferred repayment option. One of the only lenders to serve part-time students. No personalized interest rate estimates until you apply. Borrowers have the option of making interest-only payments for 12 months after finishing school. NerdWallet student loan experts evaluate more than 50 data points across five categories. Here’s how Sallie Mae compares with other private student loan lenders. More than 12 months of forbearance. Application or origination fee: None. Compare Sallie Mae’s range of interest rates with private student loan lenders. Your actual rate will depend on factors including your — or your co-signer’s — credit history and financial situation. To see what rate Sallie Mae will offer you, apply on its website. Typical credit score of approved borrowers or co-signers: 748. Can qualify if you’ve filed for bankruptcy: Did not disclose. Citizenship: Must be a U.S. citizen or permanent resident, or a non-U.S. citizen with a creditworthy co-signer who is a U.S. citizen or permanent resident. Location: Available to borrowers in all 50 states, Washington, D.C., and Puerto Rico. Must be enrolled half-time or more: No. Available to borrowers attending school part-time. Must attend a Title IV-accredited school: Borrowers must attend a degree-granting institution. Fixed repayment: Pay $25 every month while enrolled in school and during the grace period. Your interest rate will be 0.5% lower than with the deferred repayment option. Interest-only repayment: Pay interest every month you’re in school and during the grace period. Your interest rate will be 1% lower than with the deferred repayment option. In-school deferment: Yes, borrowers can request to defer payments when returning to school or going to graduate school for up to 48 months. Military deferment: Yes, but a borrower must contact the military customer service representative team for more information. Your interest rate is capped at 6% during eligible periods of military service. Internship, residency or fellowship deferment: Borrowers can defer payments in 12-month increments for up to 60 months during residency. Postgrad interest-only payments: Borrowers may request to make 12 monthly interest-only payments after finishing school with the Graduated Repayment Period option. Forbearance: Borrowers are eligible for 12 months of forbearance, in three-month increments, over the life of the loan. Borrowers must pay $50 per loan, with a maximum of $150 per account, to get forbearance. Are loans discharged in the event of death/disability of borrower? If the student dies or becomes permanently and totally disabled, Sallie Mae will waive all remaining payments on the loan. Average time from application to approval: 15 minutes. Before taking out a Sallie Mae student loan or any other private student loan, exhaust your federal student loan options first. Submit the Free Application for Federal Student Aid, known as the FAFSA, to apply. If you’re ready to borrow with Sallie Mae, you can apply on Sallie Mae’s website.